Whether you’ve had hardwood floors for a long time or just discovered them under old carpeting, you’ve probably considered refinishing them. Waxing and/or buffing often provide a good shine. But REFINISHING your floor is usually the only way to regain the original richness and beauty of the wood. Hardwood floors are timeless. While many other floor coverings can become obsolete over time, hardwood’s beauty becomes enhanced with age and typically increases the value of a home. 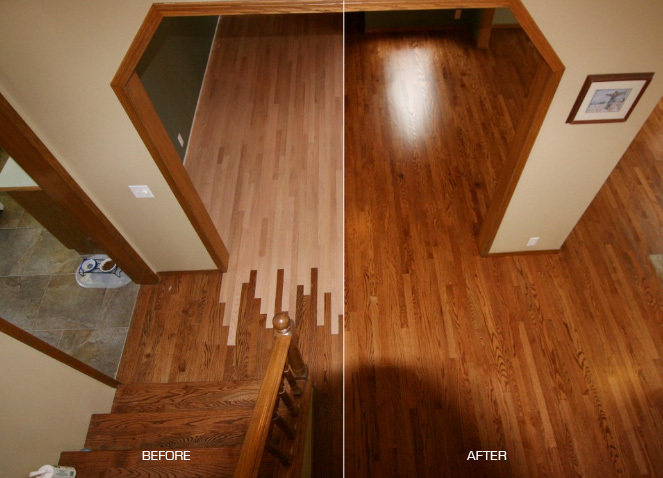 Our professional team makes sure to give new life to your hardwood floor.